In my previous post we discussed about the best idli batter recipe you can make at home. This post shows you how to make the best idli at home following this best idli recipe. I am not sure how to make idli without idli maker or cooker as we use the idli maker/cooker to pour the batter and steam it. 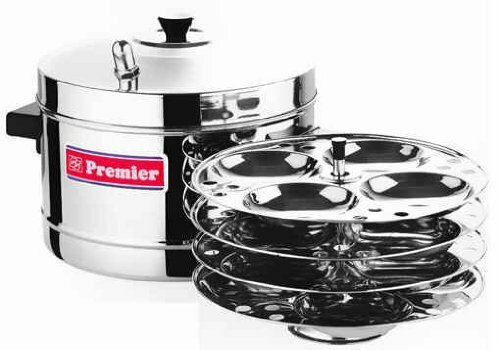 However, there are new microwave idli cookers available as well as standard stainless steel idli cookers available online which you can buy online easily. 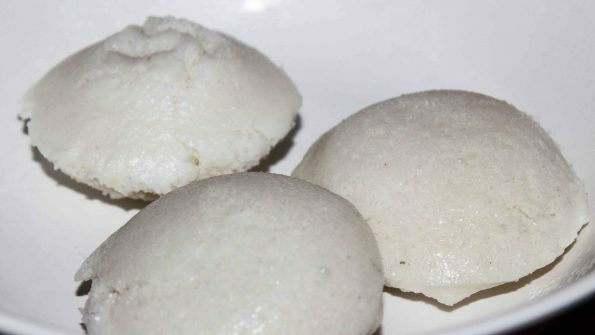 Idli is a kind of healthy steamed rice cake which is gluten free too, and it is one of the most popular South Indian breakfast items, which you can find in almost every restaurants and homes. This idli recipe will give you the perfect soft, fluffy idli if you follow the directions from my previous post on how to make the best idli recipe (to make the batter). Yes, you need the best idli batter recipe to follow this best idli recipe. I am not repeating how to make the batter for idli and dosa in this post, as we have already discussed it in my previous post which you can refer here. So assuming you have learnt how to make the best idli batter recipe at home, let us go on to see how to make the best South Indian idli following this easy best idli recipe. You need a good quality idli cooker to make the idli at home. I have bought this idli cooker from Amazon, which is pretty good till date. Pour the idli batter to the moulds in idli cooker, using a spoon. You can add very little water in the bottom of the cooker and place the idly plates one on top of another. Close the cooker. Once the water starts boiling, reduce the heat and steam the idlis for about 8 to 10 minutes. After 10 minutes, remove the cooker from the stove. Let it cool for few minutes. You can take the idlis out of the moulds using a spoon, once they are cool. Notes: Greasing the moulds with little melted butter or oil before pouring the batter, will help you remove the idlis from the moulds more easily., but this is not necessary as you can easily take the idlis out using a spoon once they are cool. Popular side dishes for idlis are either sambar or chutneys, you can read about the Kerala style coconut chutney or the idli chutney recipe here.